When I visited the remote Swedish town of Älvdalen, I was immediately struck by the tranquil splendour of the undulating, forest-covered valley in which it is situated. The river Österdalälv, which runs to the valley and has given it its name, was still partly frozen, and the gleaming ice resonated with the last patches of snow that were strewn across the landscape. Here, in this Swedish Shangri-La, I was set to meet the last speakers of Elfdalian, a tiny and well-hidden linguistic gem that only very few know about. 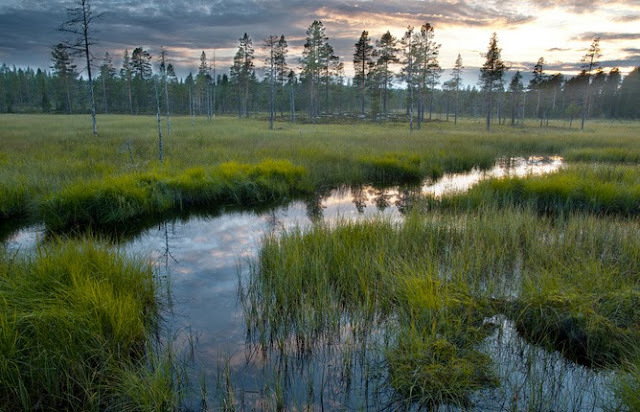 Elfdalian (älvdalska in Swedish and övdalsk in the language itself) sounds like something you would more likely encounter in Tolkien’s Lord of the Rings rather than in a remote Swedish forest. But the small town of Älvdalen, which gives the language its name, is not an Elven outpost. It is one of the last strongholds of an ancient tongue that preserves much of Old Norse, the language of the Vikings. And it is now to be taught in the town’s preschools for the first time in September, marking a small victory for a group campaigning for its preservation. Elfdalian is currently used only by about 2,500 people, but is a treasure trove for linguists. Hidden between the trees and hills, it has preserved linguistic features that are to be found nowhere else in Scandinavia, and that had already disappeared from Old Norse by 1200 AD. Elfdalian has, for instance, preserved nasal vowels that disappeared elsewhere. Nasal vowels are well-known from French, as in un bon vin blanc (“a good white wine”), but not from the modern Nordic languages. In Old Norse, nasal vowels are only found in a single manuscript from 12th-century Iceland, but linguists never thought much of it – until it was discovered that modern day Elfdalian has nasal vowels in the exact same words. Because of its relative isolation, Elfdalian evolved in an entirely different direction than the modern Scandinavian languages. Its sounds, grammar and vocabulary differ radically from Swedish. So, while speakers of Swedish, Danish and Norwegian can easily understand each other in simple conversations, Elfdalian is completely unintelligible to Swedes who are not from the area. For centuries, it was unnecessary for the majority of the native Elfdalian-speaking population to learn standard Swedish, as the economic networks were locally-oriented and there was no compulsory schooling in Swedish until the mid-1800s. As a result, Elfdalian remained a vigorous language until well into the 20th century. The situation changed dramatically in the past century, however. With increased mobility and the arrival of mass media, Elfdalian came under threat from Swedish, which steadily encroached upon more and more aspects of daily life. Speakers of the language were stigmatised, and children were actively discouraged to use it at school. As a result, speakers of Elfdalian shifted to Swedish in droves, especially in the past couple of decades. At present, only half of the inhabitants of Älvdalen speak it, and of the youngest generation, only about 60 children under the age of 15 are fluent. During my visit in Älvdalen, I was very lucky to be introduced to a group of language activists united under the name Ulum Dalska (“We need to speak Elfdalian”). Attempts are being made by these local enthusiasts to revitalise the language that means so much to them. An orthography, detailing how to speak the language, was devised in 2004, consisting of 35 letters, including nasalised vowels. 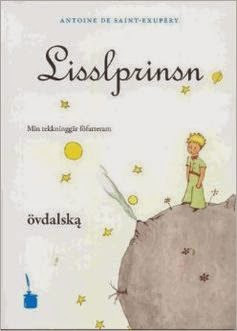 It was used to publish several children’s books, such as a translation of “Le Petit Prince” by Antoine de Saint-Exupéry. The association also annually awards language stipends to pupils who are particularly fluent in Elfdalian. After many years of action,Ulum Dalska has also recently been successful at convincing the local authorities to start up an Elfdalian-speaking group at the local preschool. This means that, for the first time in history, Elfdalian has made its official entry into the Swedish schooling system. Though nothing short of a break-through, more radical measures are likely to be required to permanently secure the future of Elfdalian. Researchers have, for instance, suggested introducing bilingual programmes to primary schools, by which pupils are immersed in Elfdalian, and Swedish is only taught as a separate subject. The funding required for such programmes is too considerable to be released by the small community of Älvdalen. A permanent solution would be to grant Elfdalian the status of a regional or minority language as defined by the Council of Europe. Despite repeated requests by Ulum Dalska, the Swedish government has so far been reluctant to do so, however. It maintains that Elfdalian is a dialect, despite a growing consensus among linguists that it has all characteristics of a separate language. Nevertheless, language awareness is on the rise, both in Älvdalen and in the outside world. There is a very active Facebook group, where many speakers are starting to write in Elfdalian for the first time in their lives. Earlier this month, I co-organised an international conference on Elfdalian, which sparked worldwide media attention. The annual summer school is expected to attract a record number of participants consisting of both native speakers and linguists. On the whole, more and more people seem to be convinced of the preciousness of Elfdalian and the need to preserve if for future generations. And in a globalising world, the right attitude is perhaps the most important step towards a full language revival.